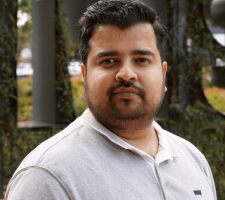 Ash is a Partner Support Engineer at Samsung Electronics America and specializes in Samsung Android Services and SDKs. He works closely with Samsung strategic partners and the Android app developer community to make mobile solutions compatible on all Samsung hardware. Prior to Samsung Ash worked as a Senior Android developer on various top grossing Android apps.